Usually when we speak and think about tolerance and compassion for those with Asperger’s Disorder, it is in the context of children at school. Educators and parents emphasize the many strengths of these individuals and request kindness and understanding from their classmates. However, these efforts, and sometimes our own eagerness to model compassion, frequently dissipate when we enter the workplace as adults. That same concern we have for children with Asperger’s Disorder in our family, neighborhood, or community may be lacking when we find ourselves working alongside adults with Asperger’s Disorder. There have been useful articles and supervisor handbooks written about effectively managing individuals with Asperger’s Disorder (linked below) so I don’t intend to focus on that here. My message is a more general one: which is to soften our minds to the folks that we work with who have some difficulty connecting with others. 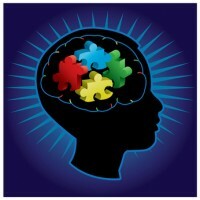 In fact, I submit that it often does not occur to us that Asperger’s Disorder might be the reason for their difficulty. Even the most compassionate person can feel irritated by a colleague. We roll our eyes at the person who made a poorly timed attempt at a joke on a conference call. We feel wronged by the person who mumbled a gruff good morning in the elevator. We are exasperated by the person who completely misunderstood, what we feel, is an obviously sarcastic remark. We are annoyed by our coworker who never smiles or looks up when we pass in the hallway. We complain to our friends about our coworker who goes on too long on a particular topic. Intellectually, we know that individuals with Asperger’s Disorder struggle with social cues and communication and yet we often fail to recognize it when we see it in our coworkers. I am not suggesting we make assumptions about our colleagues, or start diagnosing them, but we should at least consider that our coworkers who fail to connect appropriately might have a challenge that would respond better to compassion than to scorn and hostility. Often they are not trying to annoy us but rather their brains are simply structured in a way that makes effective communication and connection incredibly difficult. They also likely have strengths and skills that contribute to the workplace, skills that we might be lacking. We all have short comings – most of us are lucky enough to not have to face ours every day. I took French for 12 full years in school, spent 2 months at a boarding school in France with a French roommate taking all of my coursework in French, I met with a great French tutor weekly afterschool and I even had a French boyfriend. I, quite unbelievably, cannot speak any French. This shortcoming doesn’t ever come up or affect my daily life. I also happen to be a terrible speller, but the advent of spell check lets that go undetected too. However, when your difficulty is not with French, or spelling, but with the many nuances of relating to others, which can feel like a foreign language, your challenge is always front and center and visible to all of your coworkers. In working with people that have trouble with social connection in the workplace, we need to bring patience and kindness and try not to take their social missteps too personally. If you would like to convey some feedback to them about how they come across, or how they made you feel, be as specific and concrete as possible as they tend to take things very literally. Companies can benefit greatly from having these loyal, focused, detailed workers as employees and let’s remember what we teach our children about respect and kindness. Let’s remember that acceptance in the conference room is just as important as acceptance in the classroom.